There are certain things every man should eat before he dies, and after devouring those hot Hawaiian malasadas or authentic cacio e pepe pasta in Italy, it's only natural that he'll get a little thirsty. That's why we consulted King Cocktail himself, Dale DeGroff. Ever since his days tending bar in the '80s at the Rainbow Room in New York City, DeGroff has literally written the book on essential cocktails, become an international ambassador of proper technique, and most recently changed the bitters game by dropping a brand of aromatic all spice bitters that turns a Manhattan on its head. 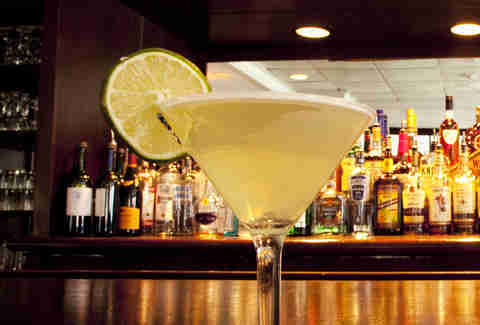 Here is his bucket list of cocktails, and where to score the best ones. "You could get a great Manhattan down at PDT or Employees Only, but it's the kind of cocktail that you want to drink at an old-world bar. 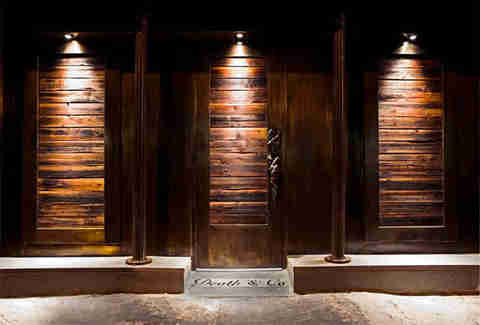 Any of the iconic New York hotel bars would be great for this, but King Cole Bar produces it correctly... and with style. As an added plus, they have a healthy selection of American whiskeys to choose from. 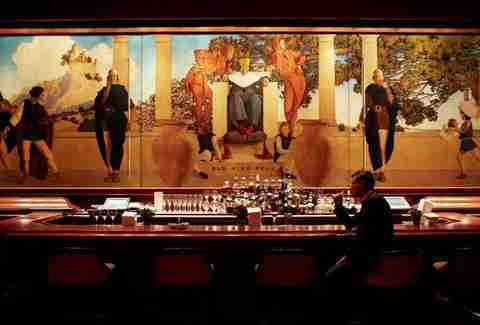 "But the history of the Maxfield Parrish triptych hanging over the bar is really the star of the show. There's a secret to the triptych: the two guards holding the spears are looking away from the king and the other has his finger up the side of his nose. When you look at the faces of the people around him, the King has just cut one. He's got flatulence and no one knows what to do about it." 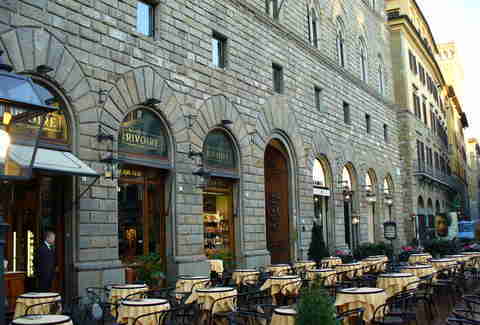 "Rivoire in Firenze is the only place for the Negroni, because it's where Luca Picchi works. He wrote a beautiful book about Count Negroni called Sulle tracce del Conte, and he makes the ultimate Negroni. It's served in a giant bucket glass with ice and a slice of orange, which is how it should always be served. We grew up drinking soda pop in America, so when we drink something like Campari we don't like the bitterness. When a drink warms up, the bitterness is multiplied, but if you put it on the rocks, the best sip is the last sip." "You'll have to know someone to get in here because it's a private club, but just about any gentleman worth his salt in Kentucky is a member. The Old Fashioned is named that because it pretty much mimics the original definition of the cocktail, so you want a place that feels really classic. You can just imagine a bunch of old farts sitting around this bar talking about how bartenders don't mix drinks like when they were young." 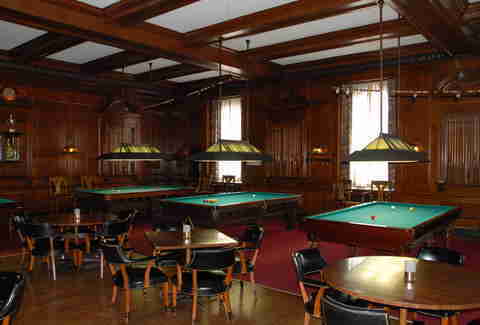 "Presidents and lawmakers have imbibed here since Lincoln walked in for the occasional stiff drink on his rougher days. They say the term 'lobbying' was invented here because so many people would wait in the lobby for the politicians to finish drinking. Jim Hewes, the bartender here, is just so experienced and the place has so much history, there's nowhere better for a julep." 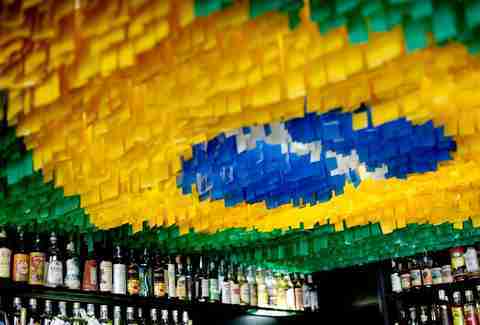 "In Rio de Janeiro, there's a place called Cachaça Academy. If you go, let the cachaça sommelier take care of you, but be careful, because you could end up paying $60-$80 for a shot. The second option is going to any of the beachfront bars. There might be a pound of sugar in the drink, but it doesn't matter: just squeeze more lime in. You meet the craziest people down at those little beach bars." 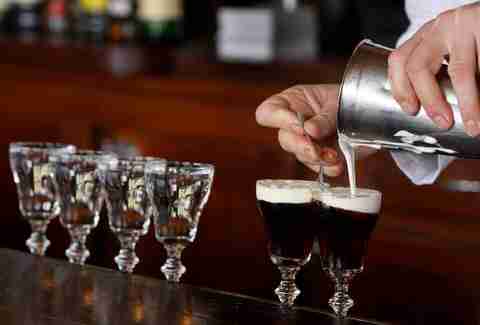 "The ultimate Irish coffee is at The Buena Vista on the waterfront in San Francisco. They literally make hundreds and hundreds every day. The Irish coffee thing started when original owner Jack Koeppler's buddy Stanton Delaplane -- a 53-year vet of the SF Chronicle -- encountered the drink in Ireland and convinced Koeppler that he needed to serve it in his joint." "You can go to Trader Vic's on the beach in Emeryville, but my other pick is the bar at the Halekulani Hotel in Waikiki. It's one of the most beautiful properties in the world: you sit in an outdoor bar called House Without A Key, and the backdrop is the sea and one of the oldest kiawe trees on the island. 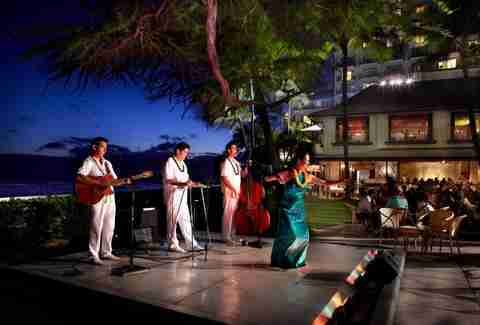 Plus, they have hula dancers and one of those wonderful Hawaiian swing groups with the ukuleles." 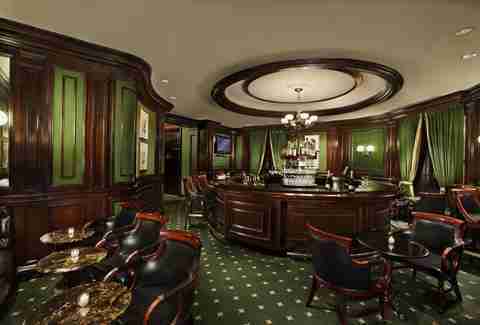 "This is a members club that's only open to people from the armed services, but even though it's hard to get in, the Army Navy Club is my place for a daiquiri. The club dates to 1885, and it's where the drink was introduced to the United States from Cuba by Admiral Lucius W. Johnson in 1909 after he served in the Spanish-American War." 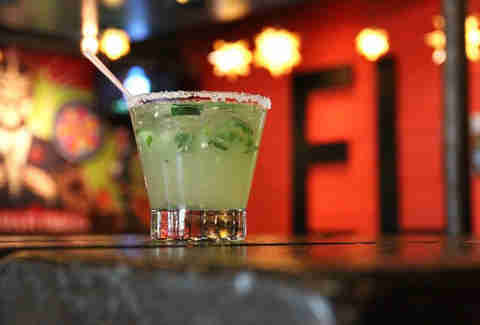 "The Tommy's margarita is world famous, and appears on menus everywhere. Julio Bermejo -- the operator and owner -- makes his margarita with only Mexican products: tequila, Mexican limes, and sweet agave nectar. 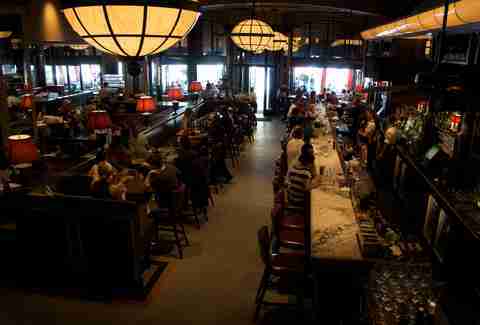 The bar also has the world's largest collection of tequilas, with verticals of the classic brands going back to the 1960s." "The Oaxacan Old Fashioned has become a new classic. There's only one or two bars you have to try this at, and I say Death & Co. because they were the originator. In their earliest days, they came up with the idea to mix mescal and tequila and treat it like an Old Fashioned, dropping bitters on the sugar cube and muddling it, then putting it on ice with an orange peel." "The Vesper was named after the only woman that James Bond ever wanted to marry. When Ian Fleming was writing it, he was hanging out at Dukes Hotel. He lived in the neighborhood and drank there often. At the behest of Ian Fleming, the bartender invented a martini that was three parts gin, one part vodka, and some Kina Lillet instead of dry vermouth. Shaken, not stirred. They make it tableside, which is lovely." "The whiskey smash: that'd be a classic Dale DeGroff drink! 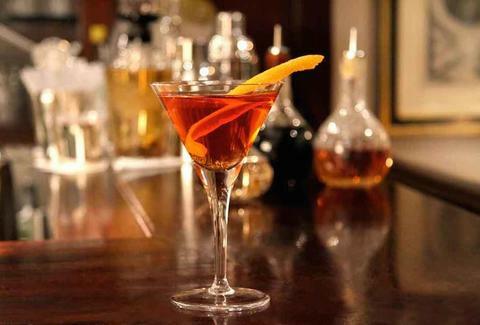 You'll find the best at the Eastern Standard in Boston, where they made it their house drink. They recently celebrated selling something like 46,000 of them! It's like a mint julep, but with a little bit of citrus. If it's the season, you throw a peach in there. What's really wonderful about it is that you don't have to be a whiskey drinker to enjoy it." 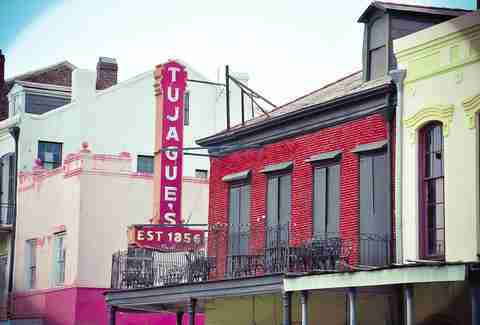 "Tujague's is a famous saloon that's been there forever. 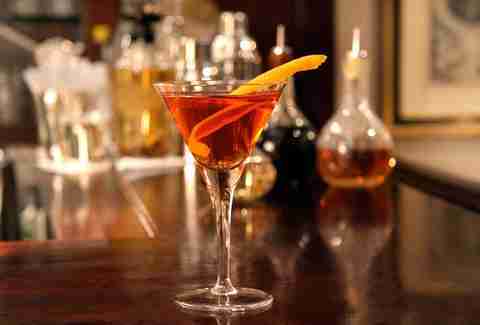 They serve a classic Sazerac, it's the New Orleans drink. The saloon is in an ancient building and they've got great New Orleans gumbos. Nothing has changed in the place since the early 19th century." "Crossing the Painkiller off your bucket list is hard, because the best one is on an island too small for big ships to land at because the shore is so shallow. The bar is called the Soggy Dollar because when you anchor in the little bay, you've got to jump out into the water to pull in your skiff, so the money in your pocket is getting wet. Luckily they'll take any currency! 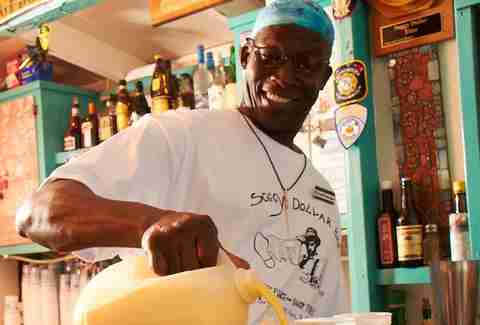 The drink is half rum, pineapple juice, orange juice, and coconut cream. They make it right there on the beach!" Dan Gentile is a staff writer on Thrillist's National Food and Drink team. His bucket list of cocktails is currently overflowing. Follow him to dreams of soggy dollars at @Dannosphere.